These two share a great zest for living and a forward-looking viewpoint. Neither will try to tie down the other. Both seek to explore possibilities to the fullest, and they share an idealism about love and life. Aquarius is innovative. 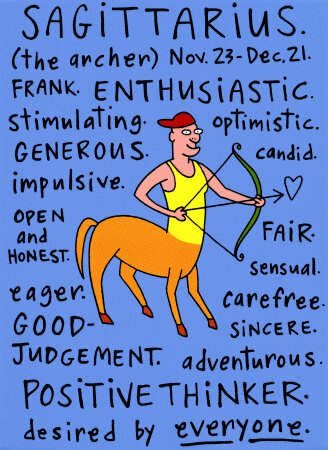 Sagittarius loves to experiment. There'll be imaginative fun in the bedroom, and they'll probably find out things that would surprise even Masters and Johnson. They'll like each other, too. True emotional intimacy may be slower to develop but prospects are wonderful for the long haul. Communication in and out of the bedroom will never be dull. Eventually, each will come to value the other as friend first, lover second which is what they both secretly prefer. It's a lovely match.